Spanish band specialized in tangos. 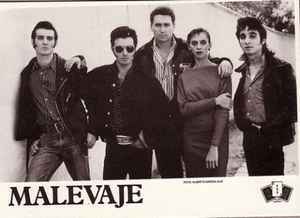 Founded in 1984 by Antonio Bartrina as leader and singer, Fernando Gilabert, Ramón Godes and Edi Clavo (from Gabinete Caligari). Latest line-up (2009) is: Antonio Bartrina (vocals, composer), Ariel Hernández (bandoneón), Fernando Gilabert (contrabass) and Sacri Delfino (guitar). - Tangos y Margot (1995) (Compilation with 2 first albums).